Decorative stairs in our Lace patterns really do transform your living spaces. 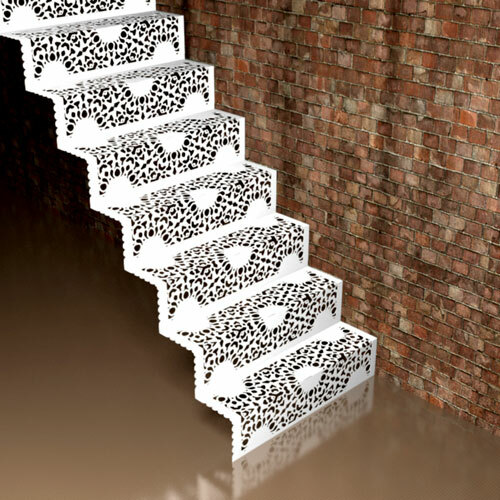 Conforming to all relevant British Standards and statutory requirementrs, all our stair furniture is manufactured in the UK using the latest laser cutting, forming and painting equipment. We have lots of stair designs and patterns to choose from, with a fitting and installation service option for all designs. Please contact us for more information.